Online billing with the lowest transaction fees and fastest payout timelines. No more chasing after payments. Simply set up recurring plans to get your payments automatically safe and secure. With billing done right, you can save up to 10hrs a week with Kinderlime. Set up recurring tuition and attendance plans to bill parents on weekly, bi-weekly, or monthly cycles. 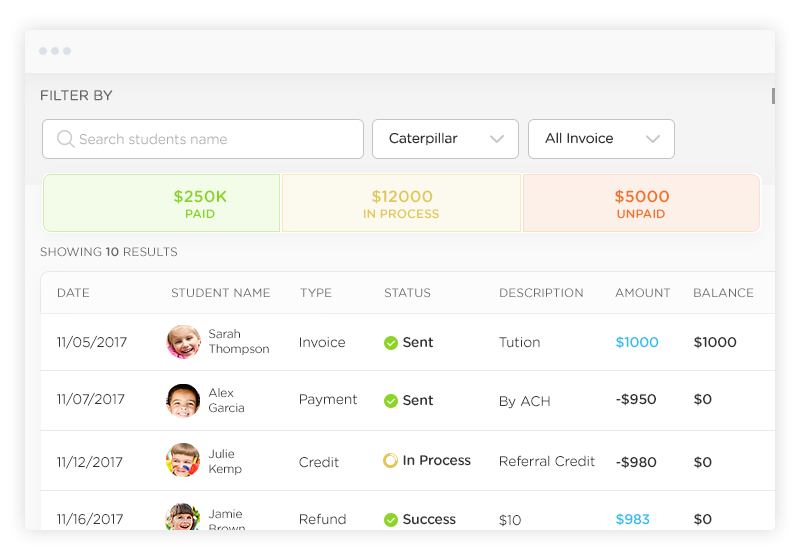 Send a one-time invoice to families anytime. Add preset charges for quick set-up. 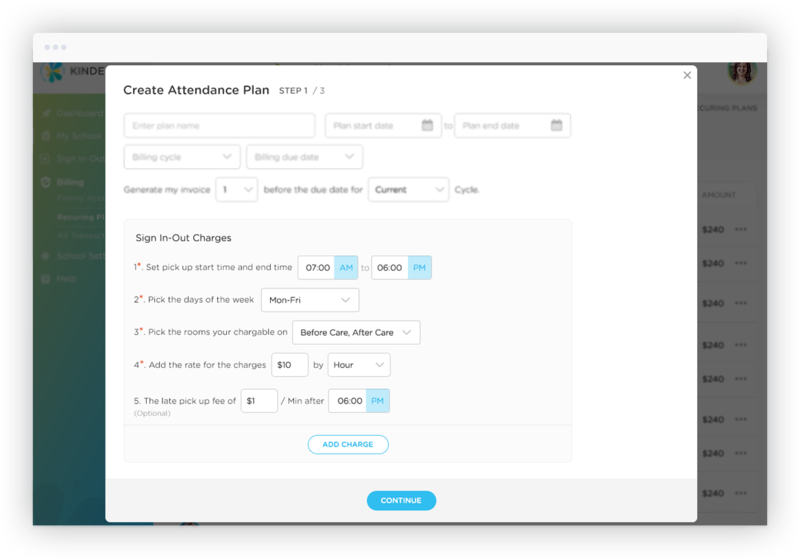 Charge parents only for hours, day or week based on attendance with powerful formula. Configure invoices and pull reports anytime for special discounts or subsidy programs. Parents can pay online through our iOS or Android app (or website). Collect payments with ease. By partnering with us, you can qualify for low transaction fees and fast timelines based on enrollment. Powerful family monthly statements or year-end tax statements available with the click of a button. We provide the highest levels of security in the industry and are PCI compliant. 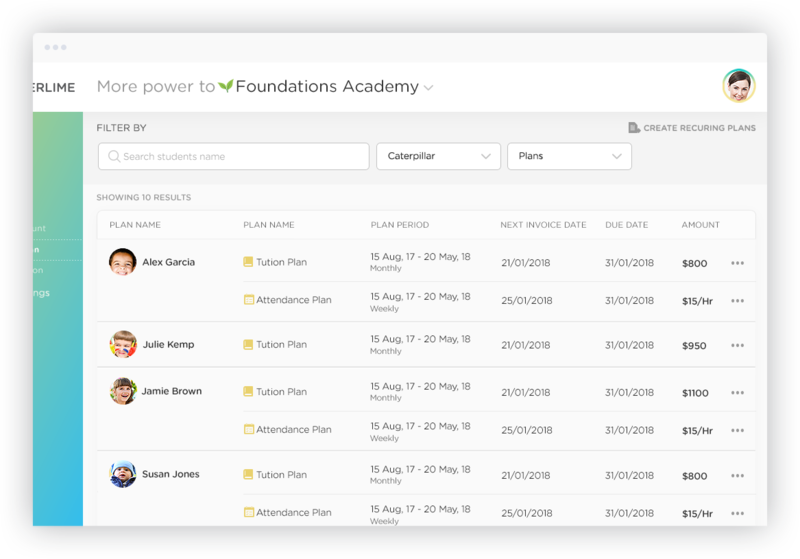 Set up weekly, bi-weekly, or monthly recurring tuition and attendance plans, customizable for each student. Customize our sign in-out recurring formula to charge parents only for the hours students have attended during the day, week, or month. Quickly export any family statement as an .xls or .pdf file with the click of a button.